Looking after your Cars in Spain : We make it easy for you! The procedures relating to importing and registering a foreign vehicle are complex. It is possible to complete the process yourself or use our local expert, who specialises in providing this service. It’s always nice to bring a piece of home with you when you move abroad, especially when it’s your faithful automobile. Prevent that comfort from becoming a hassle by letting Move to Malaga take care of your car issues in Spain. Transfer of ownership of Spanish vehicles: When buying a Spanish vehicle you may have to pay a 4-8% transmission tax depending on the vehicles age and power (based on today’s value) in addition to the administration fees. The vehicle’s paperwork must be transferred into the new owner’s name. * NOTE Do not sell the car without insuring that it has been registered in the new owner’s name, as you will be liable for the vehicle, including the yearly road tax & fines. Vehicle Insurance: Just like anywhere else in the EU you must have valid insurance for any vehicle on Spanish roads. Duplicate of vehicle paperwork – i.e. Loss of log book: When driving in Spain you must have the vehicles paperwork with you to avoid a fine, therefore if you have lost part of your Spanish logbook you must apply for duplicates. MOT assistance: All tourist class cars, over 4 years old, need to pass a MOT and display the relevant MOT sticker on the car windscreen. Scrapping cars: A tow truck can be arranged to remove your car, have it scrapped and taken off the road officially. If you do not complete the correct paperwork you will continue to be charged even if the vehicle is off the road. Change of address on vehicle log book: Don’t forget to change the car paperwork over to your new address if you have recently moved house. You are responsible for finding out if you have incurred traffic fines. Late payment results in hefty penalties! Too many expats in Spain are accumulating unnecessary and excessive traffic fines due to not having the correct postal address registered with the traffic department nor on their Spanish car paperwork. This process can be carried out via our local expert, for a small fee, or you can do it yourself. Documents needed: Proof of change of address: Passport, NIE/residency card, current pardon certificate. If you have not changed municipality, then a water/gas/electric bill will suffice. Vehicle registration certificate (permiso de circulacion – grey document) and ITV card (ficha tecnica – green document). Road Tax payment: Each year you must pay road tax for every vehicle that you own. Proof of this should be kept in the vehicle. If you are stopped by the police they will ask to see this. Renewal of Spanish driving licence: A Spanish driving license is only valid for 10 years up to the age of 45 and for 2 years between the ages of 45 and 70. Read this article that explains the validity of EU licenses in Spain. Medical check assistance for Spanish driving licence: When renewing a driver’s licence you have to pass a medical check, we can help you with the administration involved and can assist you translating on the day if necessary. Is it worth trying to import your UK car to Spain or would it be cheaper to buy a car once you get to Spain? To obtain a quote for the cost of importing your UK car to Spain, in order to help you make this decision, all you require is a copy of your V5 Log book. A registration tax (or certifícate of exemption) – Impuesto de matriculación. 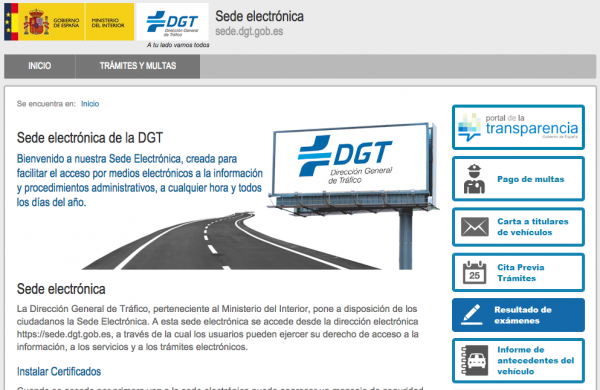 A road/traffic tax (or certifícate of exemption) – impuesto de circulación del ayuntamiento. V.A.T. (or certificate of exemption) – IVA. The calculations are based on make, model, category and age of the vehicle, the weight of the vehicle and carbon emissions. Be careful of companies who give quotes without having seen your official vehicle documentation. You must also budget for the special ITV (Spanish MOT) which is currently approximately €125 for cars and €197 for motorbikes. (Please check current prices with your local ITV centre). Also, any alterations required to adhere to Spanish traffic laws (usually this entails changing headlights). With the exception of commercial vehicles, most right-hand drive vehicles can be easily imported into Spain without too many complications. For a no obligation quote, to help decide whether you should import your car or purchase one here, simply send a copy of your Log Book, via email to: lisa@movetomalagaspain.com or Contact us.